To make a purchase, click on 'shop' in the navigation menu. Imagery used on cards and prints can be viewed in the 'Blue Mountains Gallery' section. Below is some extra detail about our products. Cards are 140mm x 187mm. Matching envelopes are included. Each card is individually wrapped. There is no printed message inside these cards, so they're usable for any occasion. Please refer to the item numbers in the 'shop' section and send me an email from the 'contact' section. Wholesale purchasing can't be processed from this site. Prints are 382mm x 487mm. The printed area varies according to the proportion of the image, but image area is as big as will fit onto this sheet size. A unique guide diagram for matt and framing proportions is included with each print. Art Prints are delivered in large diameter MAILING TUBES. The prints are therefore only loosely rolled to minimise curling. Also, the tube walls are extra-thick for increased protection. 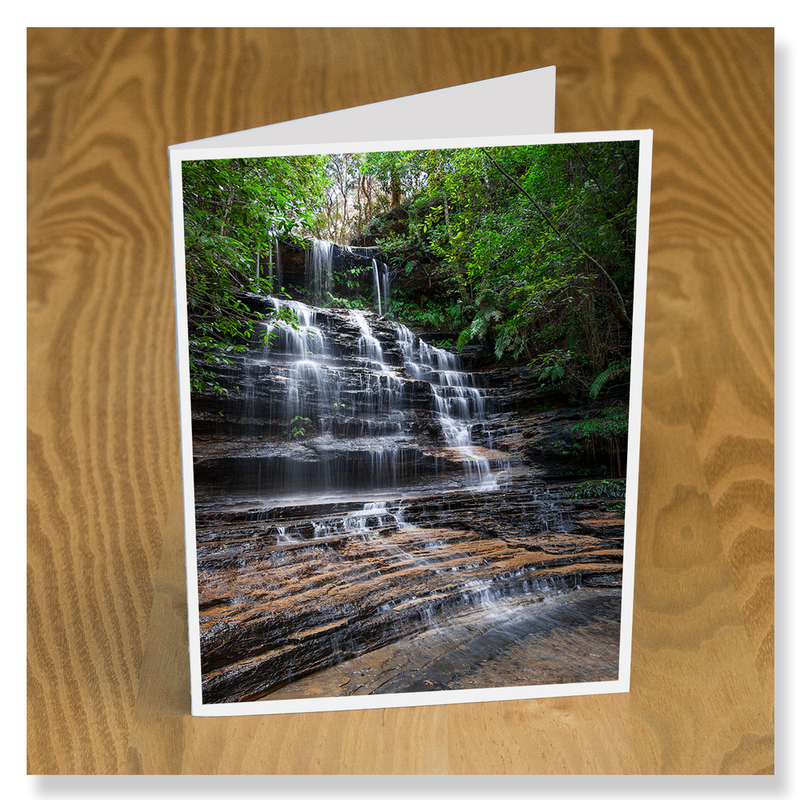 The imagery on all our cards and prints is shot here in The Blue Mountains. PRINT QUALITY is outstanding - colours are rich and vivid, blacks are dense and velvety. We print on beautiful pale cream-coloured acid-free cotton rag art paper using gallery-quality non-fade inks. Our newsletter will keep you informed about sales, shows, new imagery and new products throughout the coming year.